Community Transportation Network Inc. provides dependable and efficient transportation so no one is left behind. In 2000, there was a growing consensus among the Allen County community that public transportation was not entirely accessible. Seniors, persons with disabilities, and children experienced difficulty accessing transportation services that delivered passengers safely and efficiently to community resources. As the issue gained momentum, local organizations and funders pooled ideas and resources to address the concern. In response to the stated needs, Allen County’s Community Transportation Network (CTN) was created. CTN recognized that the transit dependent population would benefit if the organization coordinated fleets and maximized the use of vehicles that would otherwise sit in parking lots. CTN was able to partner with those agencies by soliciting funding and collecting fees to pay for trips provided to other populations. 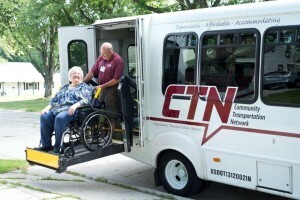 Since then, CTN has provided transportation services directly. In the process, CTN consolidated some existing fleets, increased the financial resources to support their operation, and increased the number of organizations serving and being served. Funding for these services was provided largely by the local foundations along with fees and governmental support. In 2014 the average cost per trip with CTN was $26. CTN offers a subscription service for nonprofit organizations, school groups, and other social service agencies in which the sponsoring group subcontracts their transportation needs to CTN. This subscription helps minimize trip prices. Additionally, it has helped empower approximately 3,000 individuals of all ages and all abilities to connect with community resources. Twenty-three percent of those receiving transportation were seniors and people with disabilities who were able to access healthcare and related services. To serve these passengers, CTN owns and operates about 20 vehicles. In recent years, four organizations have leased vehicles to CTN. One organization gave five vehicles to CTN. 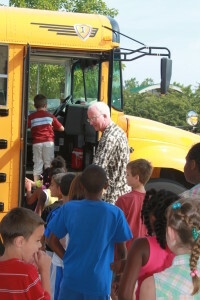 In addition, CTN leases four school busses for one dollar per year. Whether leased or owned, all vehicles under CTN’s care are maintained by the agency. Maintenance and operation of leased vehicles means that CTN takes on a good deal of the liability. To account for this, the agency has purchased liability insurance and exercises discretion when selecting drivers and vehicles for their services. Not only does CTN carefully choose which vehicles to use, but it also pays great attention to which drivers it hires. Employing patient, personable, and dependable drivers is a top priority for CTN. In the case of medical appointments and other time-sensitive engagements, passengers need to trust that drivers will arrive and deliver them on time. This dependability is a cornerstone to CTN’s mission. To guarantee dependability, CTN must find drivers that are as accommodating as they are affordable. To offset the cost of drivers and CTN personnel, the agency has diversified streams of income to include passenger fees, government and community support, and United Way funding. While the process of building an effective transportation alternative for Allen County has proven arduous and complex, the choice as posed by CTN organizers is plain: outsource transportation or provide a dependable service collectively as a nonprofit community. Certainly, the Allen County community has seen a return on its innovative investment.